I'm always skeptical of Michael Bay's Platinum Dunes' remakes/reboots of horror movies which seems to be all they live on. Frankly, they have produced a lot of crap, but they did make ones where for the most part I enjoyed (Texas Chainsaw Massacre remake would be one, Friday the 13th would be another). I understand from a business standpoint why movie studios would make these, but from the perspective of a fanboy, it makes no sense. Why play with history? Why recreate the wheel? 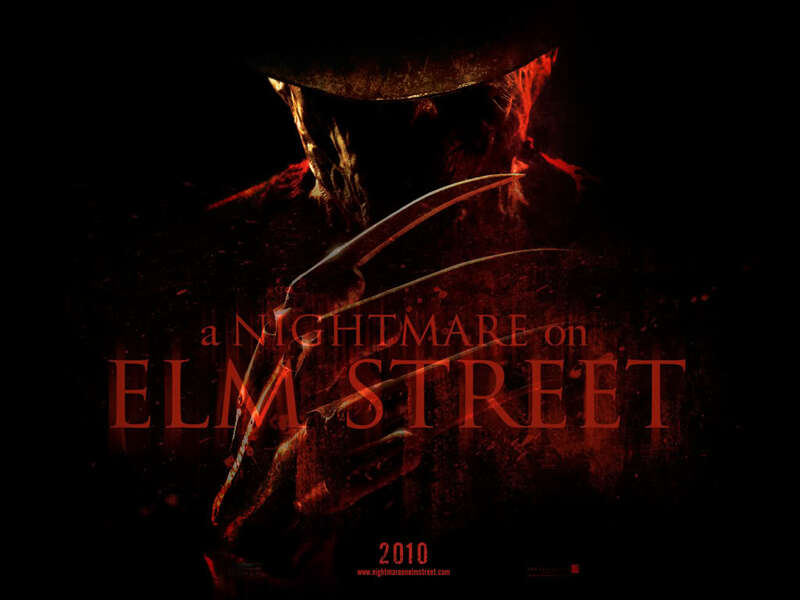 Now, I enjoyed the original Nightmare on Elm Street but I can't say that I was the hugest fan of the series. I was exposed to the series later on in life (during my teen years) whereas I was introduced to Friday the 13th at a more young and impressionable age. For that reason, Jason Voorhees was always a more lasting (and life scarring) figure than Freddy Krueger. The movie follows a bunch of teens as they unravel a mystery surrounding the grisly deaths of a group of teenagers in town. The deaths are peculiar as they all occurred while the victims were asleep. On their search, they unravel a mystery surrounding the town and their childhood past all leading to a man thought to be dead named Freddy Krueger. But their journey is made tougher as they need to stay awake or risk falling asleep and entering the dream world where Krueger dominates. This movie was crap. The script that they had to work with was terrible and the direction of the movie left lots to be desired. NOES is supposed to be a slasher style horror movie — a genre that prides on high body counts and creative deaths. If I recall correctly, *SPOILER* the movie had a grand total of two deaths. Maybe three, but that's it. At least in the Friday the 13th reboot, even though there weren't many creative deaths, there were still at least a considerable amount of deaths. That's the fun of slashers. They essentially took away the fun. No Johnny-Depp style waterbed death a la the original NOES. And it's not like they made the rest of the movie compelling. Frankly, it was quite boring and sleep inducing. Is it ironic that I fell asleep for parts of a Nightmare on Elm Street? I don't know. I think the only positive thing I can think of was the casting of Jackie Earle Haley in the role of Freddy Krueger. He had big shoes to fill after Robert Englund perfected the role in the earlier series. Haley worked for me. While Englund's Krueger was more of a wacky, creepy, psychotic killer, Haley was more dark, serious and to the point. Englund's was always fun for the one-liners while Haley's was more for terror. So folks, this one is a skip. But hey, we're in the middle of the summer blockbuster movie season, so I'm sure you'll find plenty else to go and watch (I take that back, really, there's not anything really good out). Later geeks! I would definitely agree with you on this, what a disappointment. Jackie Earle Haley was decent but the movie overall was so boring i couldn't wait to get out of there. No kills, Bad story, bad actors. Bleh, what a waste.